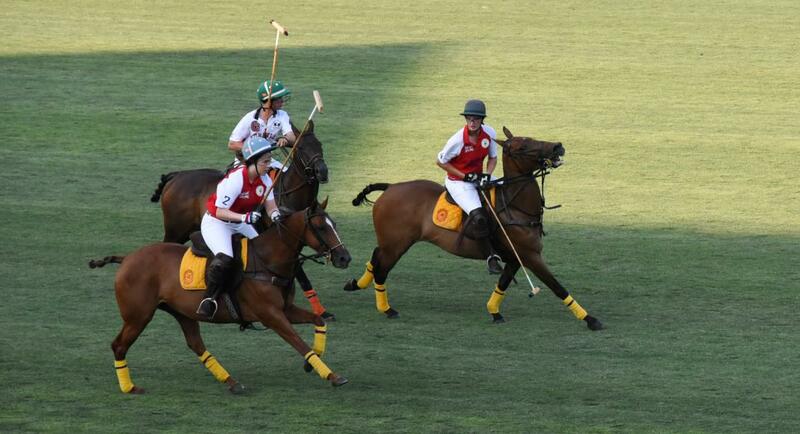 Tianjin, China, 13 July 2016 – The second day of the fourth Metropolitan Intervarsity Polo 2016 competition – also known as The London Challenge – was marked today with a thumping win for Oxford over their great rivals, Cambridge, in the blazing northeast China sun. The University of Oxford Polo Club whitewashed The University of Cambridge Polo Club 13-2, with Cambridge only scoring thanks to the two goal handicap start. Meanwhile twice-in-a-row champions The University of London Polo Club scraped through to beat debutants The Cornell Polo Club 5.5-5 in a thrillingly tense match-up following Oxford’s dominant win. 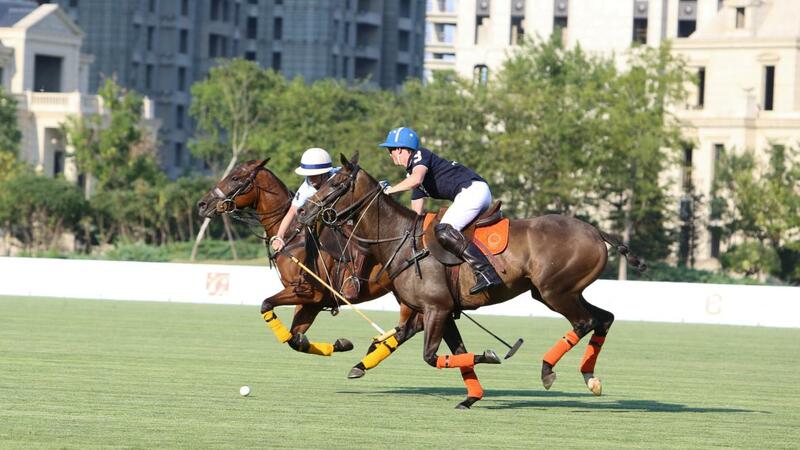 The results mean that Oxford have clocked up two wins out of two, having beaten Skidmore Polo Club yesterday at the invitational event, which sees the cream of UK and US universities square up on the stunning South Field: home to the Tianjin Goldin Metropolitan Polo Club. Yesterday Oxford’s talismanic player Louis Maddison proved to be the standout player of the tournament’s opening day, smashing home six goals to lead his team to victory. 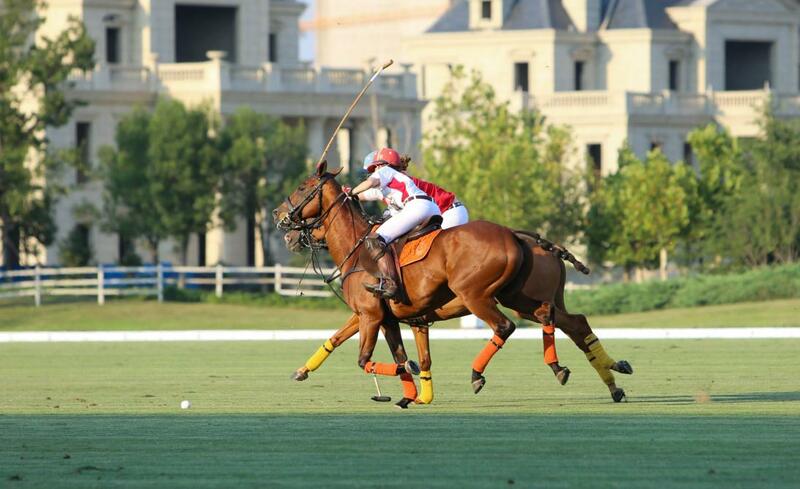 Today he proved that the performance was no fluke, again dominating the match and claiming eight goals – two in each of the game’s four chukkas. Maddison’s first goal of the game from a strong long-range hit which Cambridge should have stopped, but let bounce through to open the scoring. With Cambridge 2-1 up due to the handicap, Maddison soon leveled things up with his second goal, recovering well from being pushed wide from a long run then cutting in for an easy finish. Charlie Hitchman chipped in with a goal to put Oxford’s noses in front and set the tone for a rout. Hitchman could have doubled his tally at the death of the first chukka after fantastic interplay with Maddison but the end of play bell chimed around a second before his shot hit home. It was a hugely close call, but the goal was not given as the teams calmed from one of the game’s most dramatic moments. The second chukka was the Maddison show once more, as he banged in another two goals, with Hitchman bagging one for himself to no reply from Cambridge. Hitchman’s goal was the most spectacular, though, gaining possession from a post-goal restart and riding half the length of the pitch, keeping control wonderfully and thwacking home with a wonderfully direct goal. With the scores at 6-2 to Oxford at half time Cambridge had if not a mountain to climb, then at least a very large hill, but Oxford were in no mood to aid their elevation. Maddison score twice, Hitchman bagged another and Sally Schwartz got on the scoresheet as Oxford ran rampant with their merciless play. Maddison showed uncharacteristic inaccuracy to miss a 30-yard free hit following a Cambridge infringement, but made up for his error by hitting home another free hit seconds later. Maddison’s subsequent run down the right flank, followed by a deft dink on the inside of the right post, showed that his confidence was unfaltering and gave his team an insurmountable 11-2 lead going into the fourth chukka. Oxford were not quite done yet, though, with yet another Maddison brace and a Hitchman goal ensuring a 13-2 drubbing of their university’s famed rivals. Holders London would have loved a similar scoreline against Cornell, but the two teams from different sides of the Atlantic proved to be similarly matched, making for a thrillingly tense match right down to the last minute. London enjoyed a half goal handicapstart, and soon made their lead 1.5 points when Ali Jumabhoy opened his Tianjin 2016 account seconds into the match, making three precisely controlled ball taps before smashing home. The goal seemed to invigorate Jumabhoy, who after the restart had the confidence to make a surging run down the right flank under good pressure from the Cornell defense. It looked like Cornell had done enough to contain the London man, forcing him out wide and close to the goal line, but he fired off a barnstormer of a shot from an almost impossible angle that, to the astonishment of the crowd, darted between the sticks. 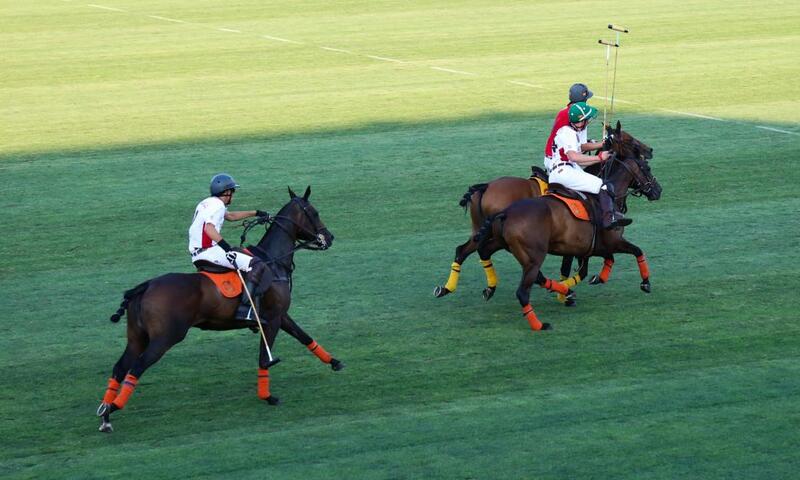 It was easily the most difficult goal chance of the tournament so far, a shot from nothing and moment of world class polo. London were 2.5 up and playing with supreme confidence, but Cornell were to rally. Ryan Saul, who wowed the crowd yesterday with a supreme performance, was again showing his class, driving through a crowd at the start of the second chukka and finishing with a strong effort. Soon afterwards there was a moment of high drama when Saul’s steed reared up dramatically, hurling its rider from its back. Thankfully Saul was uninjured and carried straight on. Demonstrating that he was barely shaken by his fall, let alone injured, Saul scored a great goal after a deft break on the right flank just moments after the incident to make the score 2-2.5 to London. Emma Eldridge chipped in with a class finish to make the game delicately poised at 3-2.5 to Cornell going into the third chukka. 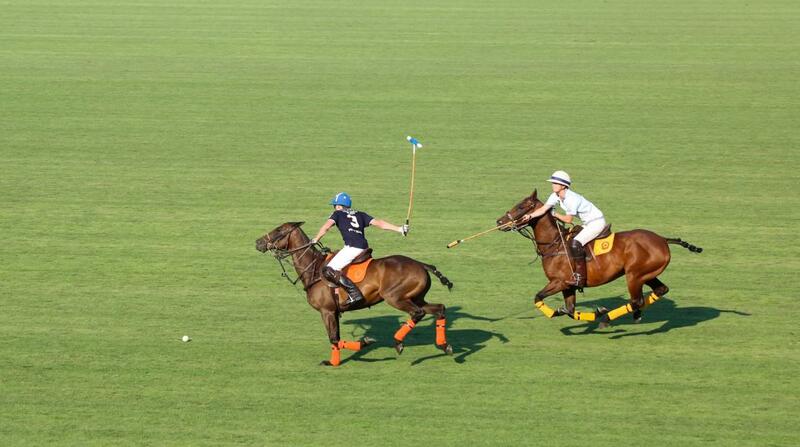 It seemed to close to call with two chukkas remaining, and the third chukka indeed proved a close affair. 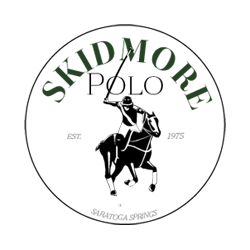 Arthur Cole-Fontayn leaped onto a scuffed free hit to score his first goal of the match for London then added his second before Emma Eldredge for Cornell made the scores 4.5-4 to London as the chukka ended. Immediately after a goal restart Eldredge won possession and arrowed towards the goal with driving directness. She had work to do, making multiple controlling hits forward, but maintained her harpoon-like accuracy brilliantly, allowing her to hit home. With one chukka to go it was still anyone’s game, and Cornell seemed likely to claim it as theirs with a sustained period of pressure on goal from the off. They narrowly missed with one grasscutter effort, then Liam Palacious made one of the moves of the tournament, striding across goal around 20 yards out then calmly striking a diagonal ball home. It was Jumabhoy who had the last word for London, though, winning the game with a strong hit from the left flank that just rolled home despite valiant backhand defensive efforts. Cornell rallied well and had the best of the final seconds but it was in vain as the bell was sounded and London won 5.5-5. With London hoping to capitalise on today’s win tomorrow and Cambridge aiming to make up for their losing start, Thursday at the club is set up to be the third corker in a row.